Every Caribbean island is something special but, as George Orwell would say, some are more special than others. Take St Lucia, for example. This tiny island is nicknamed the ‘Helen of the West Indies’ –after Helen of Troy who was thought of as the most beautiful woman in the world – and its essential measurements total just 27 miles long. But what beauty is packed into them: beaches, rainforest and the Piton mountains, to name just a few examples. There’s so much more for cruise travellers to delve into from adventure – mountain biking or ziplining over the rainforest, anyone? – to experiencing a mix of Caribbean, African, French and English culture, created over many years of warring nations who were fighting for a piece of the island. Incidentally, St Lucia is the only country in the world named after a woman, the catholic Saint Lucy. Ships dock at Castries, the island capital in the north-west, at Pointe Seraphine or at La Place Carenage. From Pointe Seraphine it is a short transfer into the town centre and from La Place Carenage you could walk it in less than 10 minutes. The Pitons: One of the best views in St Lucia – and the entire Caribbean for that matter – Gros Piton and Petit Piton are two mountainous volcanic spires that were once-believed to have mystical powers. A hike to the top of Gros Piton takes roughly four to five hours and is doable even with a moderate level of fitness – but do check with your cruise line first if you have any concerns. And, as an added bonus, The Pitons are a UNESCO World Heritage site. There’s another one off the list! Diamond Falls: Considered one of the natural wonders of St Lucia, the Diamond Falls Botanical Gardens is located on a six-acre site and features an array of plants and wildlife. The waterfalls are supplied from underground thermal springs, while there are also mineral baths on site. It’s a treat for nature-lovers and adventure-seekers alike. Sulphur Springs: Here’s something you don’t see every day. The Sulphur Springs Park, in Soufriere, is known as the world’s only drive-in volcano. There is also a guided tour available to understand how the crater came into being and the park also includes hot springs, mud pools and fumaroles (or steam vents). The Coal Pot: A traditional French/Creole restaurant that dates back over 50 years and is set in a lovely location by the water – and best of all the food is great as well! Big Chef Steakhouse: Sometimes you just want a good steak – and this St Lucian favourite is as good as you can hope for. Orlando Satchell: Should you find yourself in Soufrière then make sure you visit this traditional Caribbean restaurant which pairs island flavours with forward-thinking ideas. Castries Market: It may not have the glamour of some of the world’s finest markets, but the charming Castries Market is more than good enough for picking up a cheap souvenir. Pointe Seraphine: You don’t even need to leave port to find some of the best shopping on the island – Pointe Seraphine is the cruise port and has plenty of shops and stalls. Gablewoods Mall: It might not be the largest shopping mall you’ll ever visit and it’s a little out of the way to the north of the island but, hey, beggars can’t be choosers. There’s plenty of choice when it comes to beaches. Reduit Beach tends to be the busiest, while Anse Chastanet, in the south-west, is blanketed with dark sand, as is the 200m-long Anse Cochon between Castries and Soufrière. 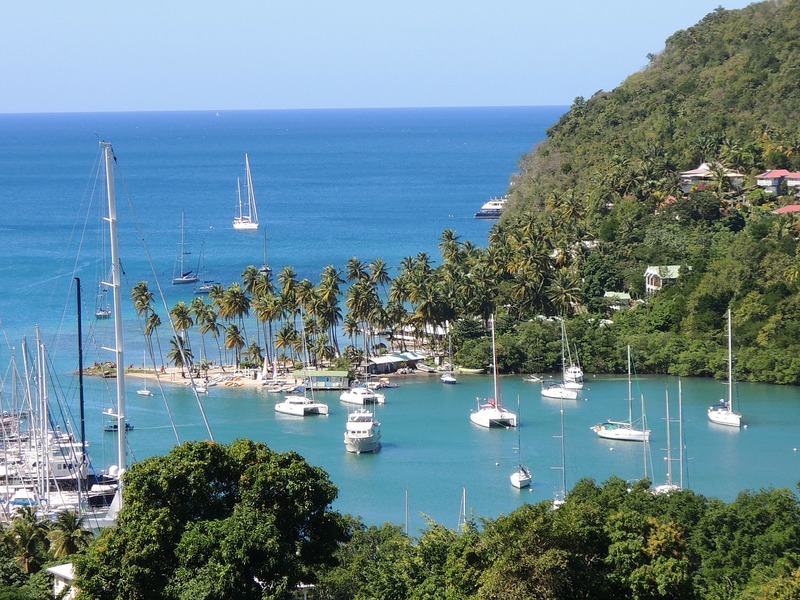 If you are planning a trip to the Caribbean then you may also be interested in checking out the latest ocean and river cruise news and our most recent Caribbean cruise features.